Well, first and foremost, we are performers. You may have seen our faces on TV, in movies, in commercials or on stage.You have likely, (perhaps unknowingly), heard our voices on ads on the radio, or narrating corporate videos,or as the evil spider in your child's favourite Saturday morning cartoon. But we didn't all set out to be performers. Some of us began as engineers,doctors, professors, social workers or journalists. And we are not always only performers. We are also writers, directors, make-up artists, educators, and web-designers. In earlier days, many of us were even bartenders, customer-service representatives, ushers, strippers, and camera-men. We hale from all around the world; from Vancouver to China, England to India, France to Haiti, and are now combining forces and experiences to bring unique shows, workshops and training interventions to you and your companies, organizations and schools. 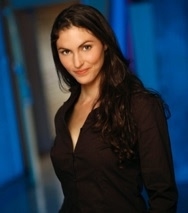 Lauren Spring Lauren Spring is a professional stage and screen actress and international improvisor. She obtained her B.F.A. degree (in Theatre and Development) from Concordia University in 2005 and completed graduate studies in physical theatre and clown Paris, France at L’ecole Jacques LeCoq and with Philippe Gaulier. She recently completed her M.A. in International Development at York University and is currently pursuing a PhD in Adult Education and Community Development at the University of Toronto. Lauren is also a proud (albeit 'satellite' ) member of the Improfessionals in Paris, France, and a graduate of the Second City Conservatory in Toronto. Lauren has performed and taught professionally throughout North America and abroad for more than a decade. She facilitates workshops for everyone from corporate executives to 'at risk' youth. Lauren also works as a TV and film actor and has played roles in films such as "Burning Mussolini," "Bless the Child," "Revelation," and "The Day After Tomorrow." She also recently appeared on the TV show "Karma". Lauren performs regularly with Mysteriously Yours murder mystery theatre as well. In March 2011, Lauren was commissioned by the Royal Ontario Museum to write "Water: The Play" an interactive and educational show for families that continues to be performed by the youngjesters (www.youngjesters.com) to play alongside the ROM's Water Exhibition. This show has since had a public production at the Palmerston Library Theatre in Toronto and is currently touring to Elementary schools across the GTA. Lauren is also in the process of writing 2 other new plays, “Granted” and "Lex"- both are currently in development at Theatre Pass Muraille and have been offered several workshop productions there as part of the Buzz Festival. "Granted" has also received staged readings at Canadian Stage (Festival of Ideas and Creation) and Alumnae Theatre (New Ideas Festival) and in 2011 was produced by InCompany Theatre at the Riverrun Centre in London England. Lauren also works part-time as an Adult Education Officer at the Art Gallery of Ontario where she designs and facilitates workshops and tours for a wide variety of adult groups. She delights in talking with bankers about Rubens, with recent immigrants about Riopelle and with Mental Health Services users about Rothko. Lauren is also an instructor at Harbourfront Centre in Toronto, where she teaches "Improv For Public Speaking" for adults. Her current research, generously funded by the Social Science and Humanities Research Council, is on the relationship between humour and resilience in the lives of those who have experienced torture or trauma; As part of this research, Lauren has been facilitating improv workshops with refugees at the Canadian Centre for Victims of Torture, and exploring the ways in which the Improv Principle of “Yes And” - practiced for the improv stage, can also be applied to the everyday lives of people looking to own their past and claim the present. In the coming months she will also be facilitating similar workshops for Canadian military personnel diagnosed with PTSD. Lauren was elected an "Agent of Change" by the Centre for Social Innovation in Toronto in 2011-12. Thomas Gallezot is a patent attorney and a material engineer from France. He is also a professional stage, screen and voice actor and improvisor. Thomas was born in Lyon, France where he studied engineering. He completed his Masters at Polytechnique in Montréal where he also discovered Theatre and Improv. While attending law school in Strasbourg, Thomas performed with the University Theatre Company. A Patent Attorney in Paris for several years, he then decided to return to Strasbourg to attend Theatre School. After a 5 years career in Alsace during which he performed classical, modern and physical theatre, mime, clown, comedy and improv, he moved to Paris. In Paris, Thomas studied physical theatre, clown and mime with Emmanuel Vaccaand, and method acting with Jack Waltzer. Thomas found success as an actor both on stage and on screen in Paris. He also created his own improv company in the city and performed with them for years in the famed Point Virgule. Thomas' one man show, "Antoine Lopez Monte A Paris," which he wrote and performed in, played in Paris for nearly 2 years. 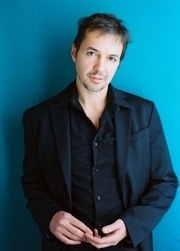 He then moved to Toronto where he trained at and graduated from the Second City Conservatory. Since moving to Toronto, Thomas has been acting and teaching regularly- some highlights include: Playing Chrysalde in the Theatre Francais du Toronto's production of L'ecole des Femmes directed by Diana LeBlanc, being the French-language spokesperson for the Method Simple Pour Arreter De Fumer d'Allen Carr, the voice for Spiderus on the Cartoon Mrs. Spider, and various appearances on TV shows (including roles in "Covert Affairs," "Good God" and CBC's "Love, Hate and Propaganda: The Cold War") and in countless corporate videos. He also teaches improv workshops regularly in both English and French at the Second City Training Centre in Toronto. Thomas is also currently the Audience Development Manager at the Theatre Francais de Toronto where he, among other things, offers free improv workshops in French to anyone and everyone in the city looking to improve their French or learn more about improv and the ways this art form can profoundly influence their every day lives. If you would like to sign-up or find out more about these workshops, please follow this link. Thomas continues to perform and teach professionally throughout Canada and abroad and he is represented by Kevin Jensen (on-camera) and Julie LaFontaine (voice) at Fountainhead Talent. Ryan Agostinho, Cam Anderson, Rhiannan Archer, Laura Bailey, Vic Bansal, Robbie Beniuk, Inga Breede, Stephanie Breton, Shantelle Canzanese, Dillon Casey, Sonia D’Amico, Andrea Del Campo, Audrey Dwyer, Piper Hayes, Carly Heffernan, Esther Maloney, Jordan Mechano, Monique Moses, Jessica Moss, Jamie Murray, Josh Murray, Chantale Renee LaLonde, Sean Perrault, Kimberly Persona, Ned Petrie, Rachel Petrie, Rodney Ramsey, Freya Ravensbergen, Randy Sabourin, Amelia Sargisson, Jennifer Schlumberger, Jonathan Shatsky, Markus Sombrero Cairero, Gavin Stevens, Melissa Story, Gillian Street, Dave Tichaur.